Instead of “Comrade Tito, we swear to you!”, Serbia’s new mantra is “Comrade Fule, we swear to you!”. This comment, made by Serbian analyst Djordje Vukadinovic and published in the most circulated Belgrade-based daily Politika, seems to be catching in the most precise manner what is happening in the country in recent weeks. Josip Broz Tito is long gone and instead to him the incumbent power holders are vowing to the EU enlargement commissioner, Stefan Fule, that they will not deviate from their EU path. Words and promises, however, are one thing, while the first steps of the new (some of them old) strongmen of the day show a different thing. The results – instead of confirming the country’s sovereign rating, as it usually does following elections, the international credit rating agency Standard and Poor’s downgraded it, but even without this move newspapers front pages, reading “The government has no money to pay salaries and pensions in September”, are enough for some to compare the situation in the country with the one in for months defaulting Greece. Before being compared to Greece, however, the situation in Serbia was compared with the developments in Hungary and Romania, where the news about the economic crisis were replaced by the news about violations of democracy and constitutional rights. Last week, Serbia’s central bank governor Dejan Soskic filed his resignation just two years after stepping into office in 2010 and four years before his mandate expired. The reasons, in his own words, were the proposed amendments and annexes to the country’s central bank legislation which, according to him, harmed the independence of the institution, thus affecting the financial and economic stability in the country. 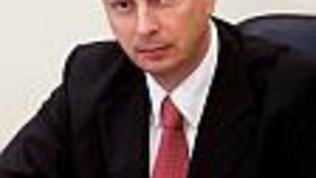 “The adoption of such amendments and annexes to the law could seriously worsen our country’s position on the international financial markets and slow down the process of EU integration, as it can already be seen by the reactions of the of international financial institutions and other major players, which the financial support to Serbia depends on in a situation of a crisis,” Soskic’s says in his motives, published on the central bank’s web page. With my resignation I want to prevent changes at the top of an independent institution, realised under political pressure, to become the only reason for the adoption of a bad law with possible serious consequences for the financial stability and the credibility of the state, he added. Shortly after him, the deputy c-bank governor and the members of the managing board submitted their resignations, too. Despite the warnings of the International Monetary Fund (IMF), which Serbia relies on for financial support in a critical for the economy period, of the World Bank, of European Commission representatives, Serbia’s Parliament ultimately adopted the controversial legislative changes during an extraordinary session on August 3rd and straight on the following Monday Jorgovanka Tabakovic – leader and prime minister candidate of the Progressive Party after Tomislav Nikolic was elected president - has been chosen to replace Soskic. Actually, Tabakovic’s appointment was first mentioned when the distribution of seats in the new government began, so Soskic’s resignation was more or less expected. Just a few days before the new government stepped into office, Soskic criticised Serbia’s overall economic policy during the transition period, so his stepping down was obviously a matter of time. In her very first day in office, Tabakovic hurried up to calm down everyone that she would not allow the printing of money, which could awaken the fears of hyperinflation. In an interview with the local daily Vecernje Novosti, she says that the independence of the central bank was not threatened, that it would not be under political pressure and that she would work in the interest of the state and its citizens. She also said that her first task would be to cut her own salary and by the end of her mandate she said she expected to see a functioning e-government and a financial system that worked in a way that every dinar from the budget is spent properly. And at the moment the situation with the state budget is really serious – the budget deficit has reached the record-high 234 billion dinars or some 2 billion euro. In order to fill the gap in, the government is currently in talks for a 2.2 billion euro loan. The IMF resident representative in Belgrade confirmed that IMF had received an official application from the Finance and Economy Ministry in Belgrade but added it was still too early to talk about the details of the loan. How difficult, though, will it be to ask for financial support from institutions with which the new government has entered into argument just a few days after it came into power? According to local experts, Standard and Poor’s reaction could be followed by some other agencies, while, instead of helping Serbia, the IMF and the World Bank could refuse to do so just as they did with Hungary not that long ago. “This could make it difficult for Serbia to renew the existing arrangement with the IMF which is very important for several reasons. On one hand, without the arrangement we will not be able to issue bonds totalling 1.4 billion dollars in the autumn to help us fill the budget gap in. On the other hand, this will be taken into consideration by the credit rating agencies but financial markets will also react,” said Pavel Petrovic, chairman of the so called Fiscal Board – an independent body that analyses and evaluates the government’s economic policy.